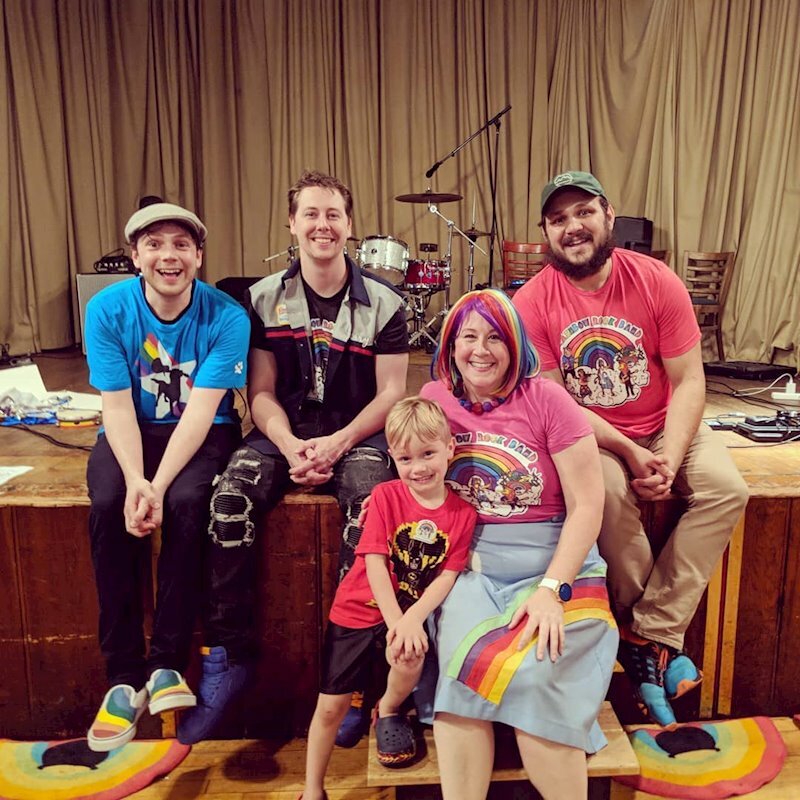 One of the brightest stars to come out of the DC metro area kids’ music scene is Parents’ Choice Award-winning Rainbow Rock Band, which performs more than 120 live shows each year. Kids and families around the country await the appearance of the band’s second album, Total Eclipse of the Rainbow, which is set for release on September 14, 2018. 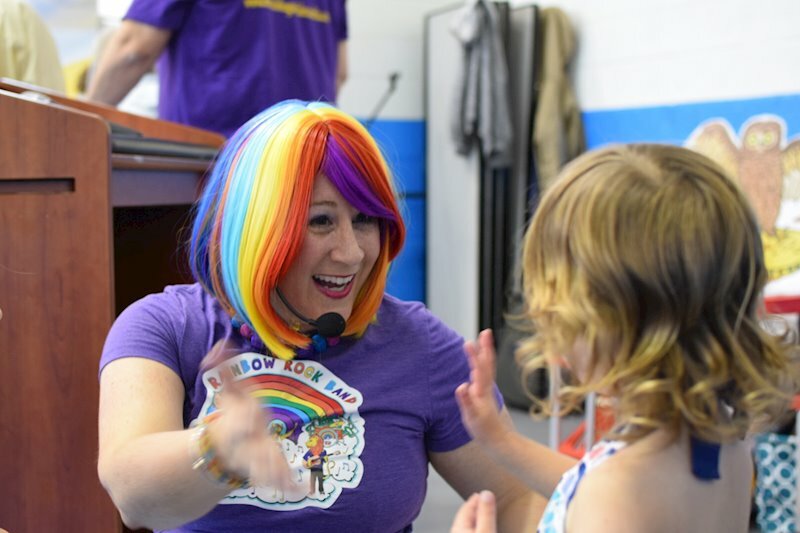 Since 2012, guided by the hand of singer/songwriter/educator Dr. Kate Moran, Rainbow Rock Band has been praised for its positive, joyful, high-energy music, which engages young listeners and gets them moving to an irresistible beat while also enhancing their learning and social development. Rainbow Rock Band’s thoughtful lyrics emphasize being kind to one another, as well as sharing a wonder and appreciation of the beautiful and fascinating.Recording in Nashville’s Secret Sound Studios, producer Kurtis Parks and Kate Moran collaborated on Total Eclipse of the Rainbow to create a fun album that serves a dual purpose. Throughout the album, Kate Moran sings with a lovely clarity that is profoundly drenched in American folk, country,and pop music. Like Woody Guthrie’s children’s tunes, Kate’s songs incorporate a musical language that draws upon and relates to the types of melodies that children actually sing and incorporate into their play. Total Eclipse of the Rainbow kicks off with “Crazy Cakes,” a splendid counting song in which the mandolin lead combines with guitars and fiddle to give a strong sense of the American folk tradition. “Lee Lee the Lizard” is a rocking number about colors, while “Sunflower” slips into a country sound to imbue botany and photosynthesis with a melodic voice. “Sparkle Fairy” showcases Kate Moran’s extraordinary vocal prowess as it presents lyrics about an element that looms large in a child’s world: sunshine. Other highlights include the driving, pop-rock style of “Samuel the Zookeep,” which comes replete with pedal steel guitar punctuation as a salute to animal husbandry, and “Rainbow Lullaby,” a song rooted in a country, Nashville soundscape. Total Eclipse of the Rainbow ends sweetly with the album’s birthday song, “It’s Your Birthday,” whose rhythmically sophisticated statement by solo banjo is immediately absorbed into the texture of a multi-layered, celebratory rock anthem. Dr. Kate Moran‘s lifelong enjoyment of singing and her numerous musical projects have provided a backdrop to her scholarly work in education. Kate studied theater at the Catholic University of America and then went on to earn a Master’s in Teaching (Special Education) from the University of Virginia. She gained practical, hands-on experience running a behavior program for the Loudoun County public schools and also served as a special education coordinator with the Alexandria City public schools. In 2014 Kate received her Doctorate in Special Education from George Mason University. 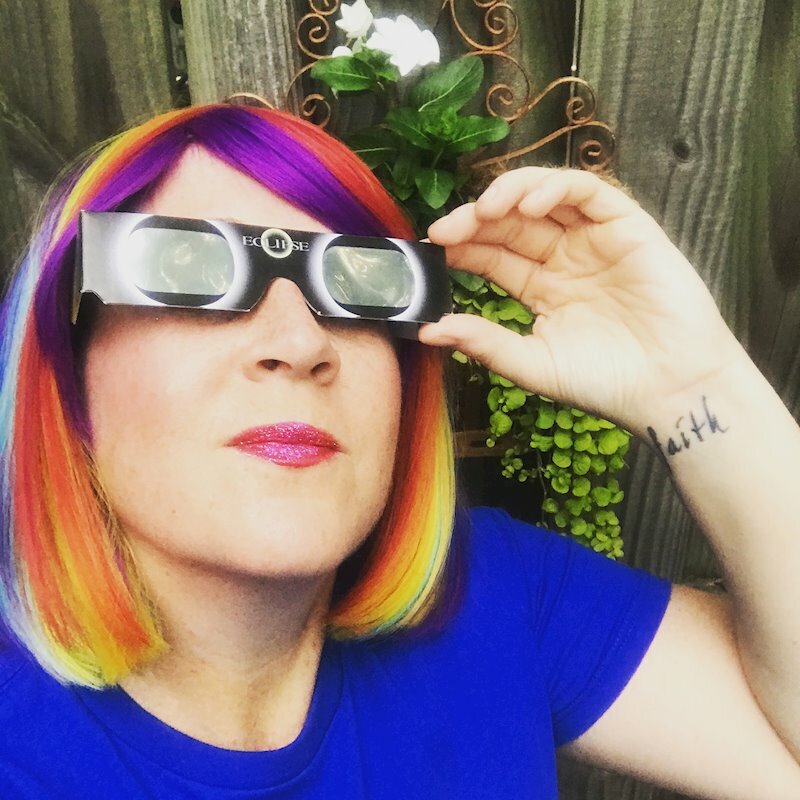 When she’s not rockin’ the rainbow, Dr. Kate works at the U.S. Department of Education in the Office of Special Education Programs. The flip side of Kate Moran’s intriguing resume resounds with her artistic achievements, for in addition to her career in education, Kate is a well-established singer/songwriter in the DC/MD/VA area. 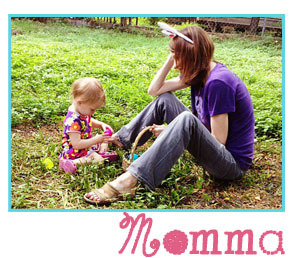 Always on the go, she founded a successful local music festival, the Del Ray Music Festival, in 2007 and has performed extensively in and around the DMV with her pop band, the Kate Moran Band. 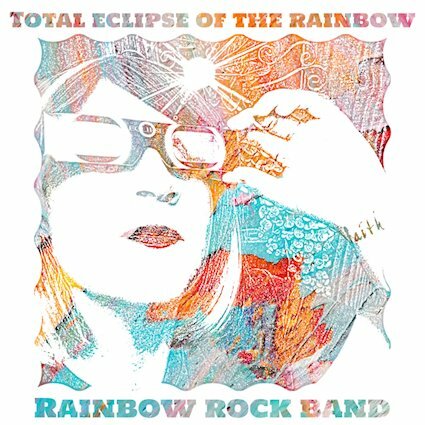 Total Eclipse of the Rainbow will be available at all digital retailers, including iTunes, Amazon, Google Play, CDBaby, and more. Sept. 15 – Jammin’ Java – Vienna, VA – ALBUM RELEASE SHOW!